Many of us would keep those letters private, but Luke wants the world to know what’s in them. He has that rare talent: a knack for creating songs so intimate and honest that they could only have come from the truest of places, but with lyrics so inclusive that it feels the world can instantly connect with them. And it looks like the world might be about to do exactly that. 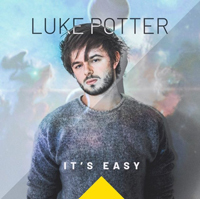 Based in Weston-super-Mare with footprints in London, Sweden, Orlando and LA, Luke’s a self-taught musician whose instinctive ear for melody sent 2017’s single Something More soaring past 16m Spotify plays, while its successor It’s Easy has already set the stage for an exciting 2018, with Potter now working alongside musical mentor Jörgen Elofsson (Britney, Paloma Faith, Robyn). While success has come relatively recently, Luke’s career is built on solid foundations that involve years of determination and hard work. He started writing songs in his teens, before he could even play an instrument, but it was when he eventually taught himself guitar at 17 that he unlocked the full extent of his creativity. “I’ve always been a song-first guy,” he says of the styles he’s naturally able to straddle, from fresh and modern electronic pop, to acoustic singer/songwriter, taking in mid-2000s US mainstream rock along the way. “I’ve never been hung up on what I should sound like, I’ve just tried to write good songs. As long as I’m still creating and expressing myself, I’m happy.” This approach has made him an incredibly nimble songwriter, able to flip from one genre to the next — and it’s already attracting the interest of other artists, including one act who regularly top 100m streams and who’ve picked one of Luke’s songs for their next single. 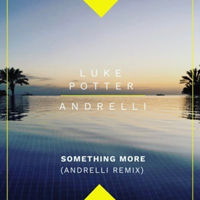 Luke’s certainly packed a lot into the last few years, including a period in Orlando where he was managed by management legend Johnny Wright, who’d previously worked magic on the likes of the Jonas Brothers and Justin Timberlake, and who guided a couple of Luke’s early releases to US radio play. Then there was time in LA recording an album’s worth of songs with collaborator Bleu (Demi Lovato, Joe Jonas, Hanson), along with writing sessions in London and Sweden. By 2017 Luke was on the verge of forming a band, when one afternoon he got a call: Sony had heard his song Something More, and were keen on releasing it. It’s a way of working that feels like the perfect complement to a catalogue of songs bursting with the sense that a situation can be completely different if viewed from a very slightly different angle. Luke was adopted as a baby and acknowledges that he spent a lot of his formative years with a lot of questions about trust and commitment, sometimes to the detriment of his own relationships and mental health, which in turn led to some trying times as he approached his 20s. But he found that through music — those letters he’d write to himself — he was able to make sense of the world. As well as finding personal catharsis in songwriting, Luke’s big hope is that his songs connect with an audience who need their own reassurance in life. Perhaps, he thinks, one of his songs might hit one of his fans the way that Goo Goo Dolls track hit him in the back of that car all those years ago.